Always consult an Herbalist! Please see our list of herbal resources below for more information. Herbs are powerful medicine and should be treated that way. Cascade Wellness is a member of Natural Standard and Consumer Lab. If you cannot find what you are looking for, feel free to contact us for a consultation. Herb Society of America promoting the knowledge, use and delight of herbs through educational programs, research, and sharing the experience of its members with the community. 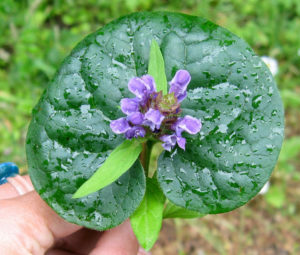 United Plant Savers – Protecting native medicinal plants of the United States and Canada and their native habitat. California Native Plants – Calflora provides information on wild California plants for conservation, education, and appreciation. Med Herb – North American Institute of Medical Herbalism, Inc. Seeds of Change – for organic seeds of all kinds. Now owned by Mars, watch for the small print on seed ownership and try new ways to get seeds. Elite Farmer Aims to disseminate information of use to people with small farms or rural property. Topics include seeds, crops, forage, flowers, fruit, fruit tree, herb, garden, shrubs, oil, vegetable and much more. Most documents are in pdf format.